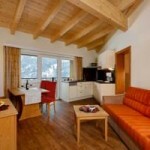 Posts Tagged 'accommodation in the Alps"
Going on skis, round, the mountains or for time off in Germany? (oficiální název Spolková republika Německo, abbreviation Germany, German: Federal Republic of Germany, abbreviation BRD) the central European country. On the north it borders with Denmark, it washes the North Sea and Baltic Sea, adjacent to the east by Poland and the Czech Republic, sRakouskem the south, and Switzerland and to the west by France, Luxembourg, Belgium and the Netherlands. Area Germany je 357 021 RED km. the territory is located in the temperate zone. Germany má necelých 82 million, což z něj činí nejlidnatější stát Evropské unie. 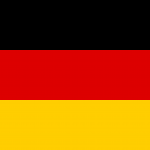 Germany is a federal democratic parliamentary republic consisting of sixteen Länder (Regions). Hlavním a zároveň i největším městem je Berlin. Living standards are high in Germany and works there very developed system of social assistance. Germany is one of the key players in European and global sound policy of many scientific and technological fields, Germany is considered a world leader. Hochkönig, Massif is the highest mountain of the same name, located in Austria near the town of Mühlbach. 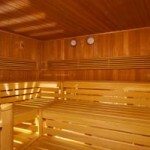 In this massif are a number of attractive destinations for tourists, climbers and skialpinism. In addition to the Hochkönig, which is a tourist destination, ferratistů and mountaineers due to its 550 m high wall, the legendary peak Tosäule, Östicher a Westicher Schober head, Flachfeld and more. Unterberg, lies entirely in the northeast mountains near Salzburg. It's a small group with the highest vrcholemBerchtesgadener Hochthron – 1972 m lying in Germany. Above Salzburg Salzburger find Hochthron, which is easily accessible from the tourist lift Untersbergbahn. Climbers appealing is its eastern wall, and especially pillar Blausandpfeiler. Near the lift is a popular starting point paraglajdistů. Hagengebirge, immediately adjacent to Göllgruppe. It is literally a messy labyrinth of limestone peaks and mountains. The highest peak is Teufelshörner – 2361m. This part of the mountain range lies on the eastern side of the lake Königssee. Lattengebirge, is the last small group lying over familiar lázněmiBad Reichenhall. The highest peak is Törlkopf – 1704 m.
Located in the southeastern part of Germany on the border with Austria (kraj Salzbursko). It was announced in 1978 and spreads over an area of 210 km2. It is the only national park in the German Alps. The most famous and most visited place, which is located in the heart of the park is undoubtedly 188 meters deep lake Königssee, which is also the highest lake in the whole of Germany. The world-famous Peninsula is also the church of St.. Bartholomew. It was originally a Romanesque building. There is also a landmark of the Bavarian Alps – second highest mountain Watzmann with their 2 713 meters. Decompose in the Austrian Vorarlberg and the German Allgäu. They occupy an area of 2800 km2. On the Austrian side defines the southern border of the Lech Valley and stream Bregenzer Ache, the northeast is divided by the flow Ammergauerských Alps Lech. They are one of the most interesting and impressive mountains of the Northern Calcareous Alps. You can find here a great trip and secured one of the few limestone mountains form a long continuous ridge. The entire region of Allgäu Alps is divided into fifteen groups. The highest mountain peak is the Grosser Krottenkopf (2 657 m) Hornbachkette group and the most beautiful is called Hochvogel (2 593 m) group Hochvogelgruppe. 1 100 km2 area lies largely in Germany. The highest peak is Sonntagshorn (1 961 m),which is directly on the border with Austria. We find here the largest Bavarian Lake Chiemsee with islands Fraueninsel and Herreninsel. Fraueninsel Neboli “Women's Island” was named after the still functioning Benedictine monastery. Local Klosterkirche uchmval ​​the original Romanesque appearance, with the exception of late Gothic crypt and the tower cupolas adorning lonely belfry. Even rarer is the Carolingian gatehouse, or Torhalle, which is on the first floor chapel with frescoes 9. century. On the island of Herrenchiemsee find the last statue of Louis II – zámek Herrenchiemsee. Thereafter, What saved the island – formerly stood here monastery – against deforestation, here Ludwig II began the building exact replicas of the French Versailles. The money ran out but at the moment the, when it was completed only the central part – včetněvěrné copies Mirror Hall. Beautiful view of the water surface , often called “Bavarian Sea” , You can enjoy the vrcholuHochgern (1 744 m). Small railroad called Chiemgaubahn leads from Prien towards Chiemgauerským Alps. Trains ends at the mountain resort Aschau, directly below the top Kampenwand (1 669 m), which is one of the most popular areas for hiking in the Alpine region. Peaks: Zwiesel (1 781 m), Dürnbachhorn (1 776 m), Hochstaufen (1 771 m), Fellhorn (1 764 m), Roßalpenkopf (1 762 m), Aibleck (1 756 m), Zennokopf (1 756 m), Gamsknogel (1 750 m), Grubhörndl (1 747 m), Hochgern (1 744 m), Wildalphorn (1 738 m), Taler ash walls (1 738 m), Peitlingköpfl (1 720 m), Sonntagshorn (1 961 m), Front Lahner (1 909 m), Reifelberg (1 883 m), Hirscheck (1 883 m), Flagstone (1 869 m), Geigelstein (1 813 m), Wieslochjoch (1 813 m). Roughly 1 550 km2 large area is situated in the south of Bavaria. Not too busy tourist and consists of the following groups : Estergebirge, Benediktenwand group, Tegernsee Mountains Normally On a mountain. For example: Monastery Benediktbeuern, who is from 789 and became famous thanks to the manuscript Carmina Burana, which there was 13. century compiled and expounded. In 1935 was inspired by this collection and Carl Orff wrote wonderful choral and orchestral work. In the background you can admire Benediktbeuern wall Benediktenwand. The highest peak in the Bavarian foothills Krottenkopf ( 2 086 m ). Located in the mountains Estergebirge, which is surrounded by giants and Wetterstein limestone spikes Karwendlu. This makes it a very attractive destination for admiring the surrounding mountains higher and more attractive. They are two very distinctive ridges, which is spread over an area of 700 km2. Mieminger Kette ridge lies just in the Austrian Tyrol. Southern boundary of the area consists River Inn, Western saddle Fernpass and Valley Stream Loisach, eastern boundary formed stream Drahný Bach. The whole mountain is full of steep rock walls and distinctive ridges. Zugspitze is the highest mountain (2 963 m) group Zugspitze-Platt-Umrahmung-gruppe, which is also the highest mountain of Germany and lies on the border. On the top, which falls on all sides by steep walls are three cable car and cog railway from Garmisch-Partenkirchen. We find there the weather station , restaurant and on the way highest chapel in Germany. Ascent of the Zugspitze was in 1820 made local botanist Naus. 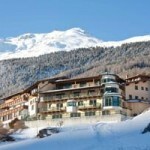 The top parts are several glaciers, , try Höllentalferner a Schneeferner. Significant peaks: Zugspitze (2 962 m), Schneefernerkopf (2 875 m), Zugspitzeck (2 820 m), Hochplattig (2 768 m), Northern Weathertop (2 750 m), Mean peak Weather (2 750 m), Hochwanner (2 746 m), Mean peak Höllental (2 745 m), Inside tip Höllental (2 743 m), Outer tip Höllental (2 721 m), Eastern Weathertop (2 720 m), High Pale (2 706 m), Leutascher Dreitorspitze (2 682 m), Hohe Munde (2 662 m), Partenkirchner Dreitorspitze (2 633 m), Alpspitze (2 629 m), Schüsselkarspitze (2 538 m), Oberreintalschrofen(2522 m), Öfelekopf (2 479 m), Musterstein (2 478 m), Large Waxenstein (2 277 m), Large Arnspitze (2 196 m), Osterfelderkopf (2 050 m), Schachen (1 866 m), High Kranzberg (1 391 m), Eckbauer (1 239 m). Are located on an area of 1000 km2. They are compared to its neighbors (Allgäuské Alpy, Lechtálské Alpy a Wetterstein) less visited and known. The highest peak is Daniel (2 342 m) in the Austrian Tyrol. 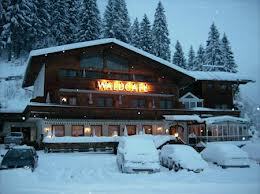 The most famous sports center is Ga-Pa (Garmisch-Partenkirchen), where in 1936 Winter Olympics held. Today there is an annual championship in ski jumping. Other cultural attractions Ammergauerských Alps is famous passion play. Theatrical performance is repeated since 1632. At the time of famine and pestilence raged, as a result of the Thirty Years' War. A few residents, who resisted the deadly epidemic solemnly swear, if survive, play as a play on Easter. And it happened. Significant peaks: Daniel (2340 m), Blattberg (2248 m), Kreuzspitze (2185 m), Hochplatte (2082 m), Frieder Spitz (2050 m), Säuling (2047 m), Crow (2012 m), Gabelschrofen (2010 m), Kramer pointed (1985 m)v High Straußberg (1934 m ), Klamm top (1924 m), Notkarspitze (1889 m), Geiselstein (1885 m), Tegelberg (1881 m), High Ziegspitz (1864 m), Tauern top (1841 m), Teufelstättkopf (1758 m), Laber (1686 m), High Bleick (1638 m), Ettaler Manndl (1633 m). 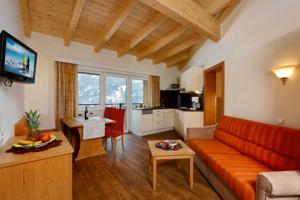 Jedete na ski, round, the mountains or for leisure in Austria? (oficiální název zní Republika Austria, německy Republik Österreich) is a landlocked federal republic located in Central Europe. It consists of 9 Länder. It borders with Switzerland and Liechtenstein to the west, s Itálií a Slovinskem na jihu, Hungary and Slovakia to the east, and the Czech, Německem in the north. Největší města jsou Vienna, Graz, Linz, Salzburg a Innsbruck. 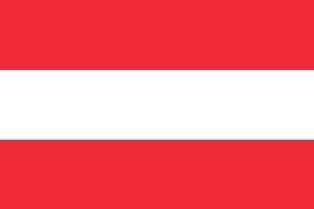 Österreich in English means "Eastern Empire". It comes from staroněmeckého Ostarrîchi (documented in a charter of Emperor Otto III. year 996), This was the name of so-called. 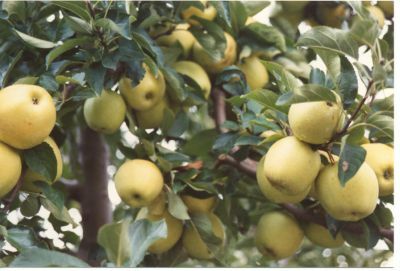 Eastmarches (Marchia orientalis), which was at that time the easternmost territory of the German population. Austria Latinizovaná appearance has nothing to do with Australia (terra australis incognita = unknown southern land). Czech naming Austria (historically Rakúsy, Austria later) comes from a border castle Ratgoz (Raabs today at the confluence of the Moravian and německéDyje), Czech businessmen whose name garbled on Rakús (or Rakús). According to him, then named the surrounding territory and later the whole country. Na území Rakouska se nachází údolí Kleinwalsertal – funkční enkláva Německa. Kleinwalsertal sice patří k rakouské spolkové zemi Vorarlbersko a geograficky leží i těsně při ní, but based on topographic position is only accessible by road from Germany. Other similar German enclave exists in Tyrol. Obec Jungholz, in which to get also from Austria, associated with the latter only 1636 m high mountain Sorgschrofen. Na druhé straně existuje i funkční enkláva Rakouska, která se nachází ve Switzerland. 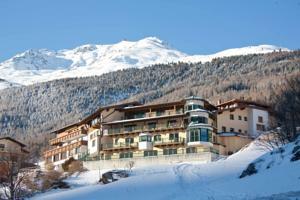 City Samnaun been long been associated with any route Switzerland, but accessible only through the Tyrol. This led to, that there Romansh disappeared and instead adopted the local dialect residents alike tyrolskému. Meanwhile, a road was built leading to Samnaun, which is already moving in entirely on Swiss territory, and even includes duty-free zone, that there had already been introduced. In a similar situation as Samnaun was until 1980 Spiss village at the Austrian-Swiss border. Approximately 60 % country is mountainous in nature and has a share of the Eastern Alps (especially Central Tyrolean Alps, Hohe Tauern and the Tauern, Northern Limestone Alps, Southern Limestone Alps and the Wienerwald). In Upper and Lower Austria, north of the Danube, is part of the old mountains of the Bohemian Massif, which extends further into the Czech Republic and Bavaria. On the eastern borders lie Malé Karpaty Mountains. Great Plain lies to the east along the Danube (mainly Alpine foreland basin and Vienna with the Moravian field), but also in the southern Styria, which for its resemblance to the Italian countryside Tuscany also called Styrian Tuscany. 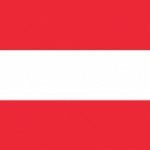 Of the total area of ​​Austria (83 871,1 km ²) falls on the hills and lowlands of approximately one quarter. Only 32 % is less than 500 m n. m. 43 % area is forested. The lowest point is Hedwighof (okres Apetlon - Burgenland) 114 m n.m. 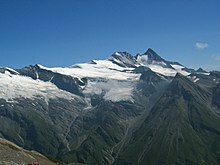 In contrast, the highest point is the peak of Grossglockner (3798 m n.m.). Austria's largest lake is Lake Neusiedl in Burgenland, which comprises 77 % its total area 315 km ² (the rest of the lake is part of Hungary). Followed by the Attersee 46 km² a Traunsee s 24 km ² in Upper Austria. Big Lake Constance is also an area of 536 km ², Austria, however, belongs to only a small portion. Lakes are next to mountains of great importance in tourism, especially Carinthian lakes and the Salzkammergut. The most famous example is. Wörthersee (the biggest lake of Carinthia), Millstatt, Ossiach a Weissensee. Also known as Lake Mondsee and Wolfgangsee on the border of Upper Austria and Salzburg. Lech, Inn (drain Tyrol) in Salzach (drained Salzburg, except Lungau and parts Pongau). Ashach, Traun, Enns, Ybbs, Erlauf, Traisen, Vienna (river) Fischa and drain areas of Styria, ADolních Upper Austria and Vienna, lying south of the Danube. Large and Small Mühl, Rodl, Aist, Match, Schmida a Rußbach, as Thaya (Thaya) a March (Lived) on the eastern borders, drain areas of Upper and Lower Austria lying north of the Danube. Mur River drains Lungau Salzburg and Styria and Croatia in the estuary of the River Drava, which odvodňujeKorutany and East Tyrol. Drava in Croatia meets the Danube. 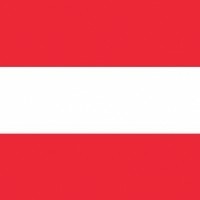 Climate – Austria's climate is described as mixed oceanic and continental climate, or. Pannonian climate. Thanks to these particularities climate is known eastern Austria freezing winters and hot summers with low precipitation year round. Thanks to this, Austria rightfully belongs to the Central European Transition Climate, with regard to the Alps in the middle and on the west and the Pannonian Plain in eastern. Bavorština (German Bairisch) - In all other provinces, ie. seven million Austrians speak bairišským middle or southern dialect. Surface of Austria consists of two-thirds of the Alps belonging orography Eastern Alps. Alps, however, do not occupy the entire area of ​​the country and there are several completely different mountains and landscapes. Alpine foothills face is furrowed longitudinally multitude of mostly flowing rivers, comprising up to several tens of kilometers long valley. In Austria affect the overall breakdown only Eastern Alps. You further divided into three geological units. The main Alpine ridge, who form the majority of the largest Austrian mountain crystal falls under the Central Alps. Prevailing rock is gneiss, granite, schists, slate, but marginally sandstone, limestone or dolomite. are the main source area of ​​Europe. Almost the entire territory of Austria belongs to the Danube. The only exception is the westernmost Land Vorarlberg, whence the rivers drain into the Upper Rhine, possibly in Lake Constance. The Danube flows through the Austrian territories in length 350 km and is the only navigable river. Danube to infuse almost all alpine river. In the first place it is the Inn, Salzach, Traun, Enns, Ybbs, Traisen,Drava, Mur and more. A large proportion of the river flow has more than 600 km ² glacier. Austrian Alps can boast an unusually large number of lakes. Overall, there are about 580 and are mostly of glacial origin. Most of them are small diamonds hidden lake high in the mountains. Great Lakes look for more in the foothills of the Alps. The severuhřebene it is mainly the Salzkammergut region (Salzkammergut mountains) s jezery Attersee (46,7km ²), Traunsee,Mondsee, Wolfgangsee a další. To the south are the Austrian Alps lake in Klagenfurt basin – Wörthersee,Ossiachersee, Millstättersee atd. The highest parts of the mountains, especially in the Hohe Tauern was built a huge dam lake, which have considerable energetic importance for the whole country. Alps are presented primarily for its tiered arrangement of vegetation zones. The slopes of the mountains to the above 700 m (in the south to 800 m) occupy mostly meadows, field or vineyard. From this height have been growing forests and up to the 2000 m (Northern Limestone Alps – 1800 m). Forests occupy in Austria to 38% total land area. Nejrozšířenějšídřevinou the spruce. Above the tree line climbs up to 2700 m zone scrub and above that height to meet with staves mountain juniper forests, willow and dwarf rhododendrons. The highest mountains of the floor belongs alpskýmbylinám. The mountain forests are still living abundantly roe deer and deer. At higher altitudes will meet with representatives of typical alpine fauna – chamois, ibex and marmots. Although the bear was extinct in the Alps, Yet we can with this beast represents the biggest European meet primarily in the areas of the Southern Limestone Alps (Carnic Alps), which migrates here from the nearby Slovenian Alps. Is the largest national park Hohe Tauern Nationalpark (Hohe Tauern). Today the entire area of ​​the park including the ochrannýchúzemí 1800 km ², making it the largest territory in the Alps chráněním. The NP is located in the federal states of Salzburg,Carinthia, East Tyrol and Tyrol. Nationalpark Nockberge was announced in r. 1987 and protect the unspoiled nature in less familiar Nockberge massif in the federal states of Carinthia, Salzburg and Styria. On the desktop 21000 ha are protected natural alpine relief, Alpine meadows and mountain peaks around the highest parts. Significant encroachment into the alpine landscape was build silniceNockalmstrasse leading up to 2000 m n. m. The area of ​​the park can observe the rich flora (rare pochybek, dwarf birch, Mochan and more). Among the mammals is present deer, chamois, marmot, bird empire represents Owl, grouse and very rare Bore. Nationalpark Kalkalpen is established by a national park protecting nature limestone Alps in Pyhrn - Eisenwurzen. Among the most important protected areas to name a few to caves Dachstein Dachstein-Mammuthöhle and Riesenhöhle and adjacent lakes Gossauská, Totes Gebirge part of the mountains around Lake Grundlsee, deep valley of the Enns called Gesäuse. In Lower Austria is an area vrcholuÖtscher and limestone gorges in the vicinity. As protected areas are declared part of the Wilder Kaiser mountain range in Tyrol and Karwendel. Natural parks jsouHohe Wand, Schwarzau mountain v Pohoří Rax, a large area of ​​the eastern Tauern Low – Stein. Among the natural reserves in the Alps remember the first Krimml Waterfalls, which is among the largest in Europe, See also Lake Altausseer in Salzkammergutberge and many more. Historically, the first output climbing in Austria was climbing a glacier Ankogel peak in the Hohe Tauern in 1762. This piece was a success von Bergmann Turwiesen. In 1804 Archduke Johann climbed the highest mountains in the mountains of Rax, Schneeberg a v Ennstalských Alpach. Year 1854 include the birth of the "golden age of alpinism", they are mainly due to the English sport climbers oppose almost all the highest mountains of the Alps. This era lasted roughly 20 let. 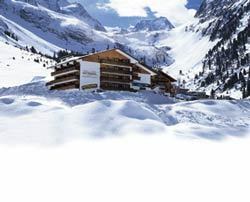 In 1862 was founded by the Austrian Alpine Association Alpenverein. At his birth were leading Austrian climbers Paul Grohmann,Guido Freiherr von Eduard Mojsisovics. In 1863 already published the first issue of the magazine published by association. 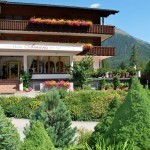 Alpensporthotel Mutterberg se nachází na úpatí ledovce Stubai, just steps away from Stubai cable cars. Every Sunday a gala dinner and cocktails. 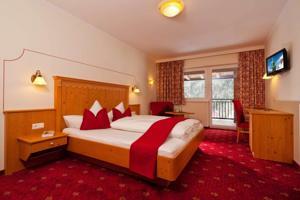 All rooms are equipped with satellite TV, sofa, bathrobes and hairdryer. Some rooms with balcony. 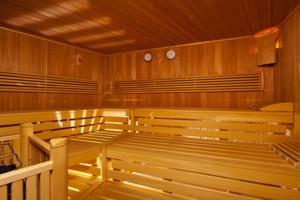 The spa area includes a jacuzzi with mountain views, indoor pool, sauna and steam bath. Massages are available on request. 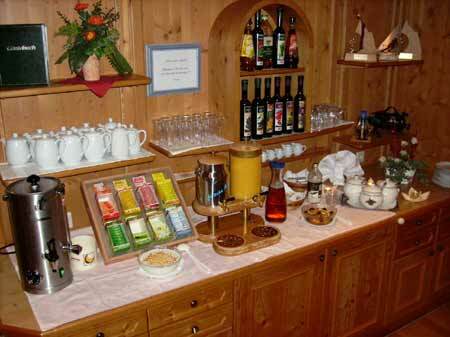 Alpensporthotel offers a rich breakfast buffet, afternoon snack and dinner 4 course. 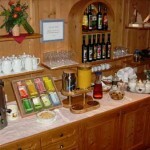 Guests also have access to restaurant, café and bar with open fireplace. 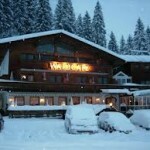 Guests can enjoy the hotel's après ski bar, outdoor bar and a disco. 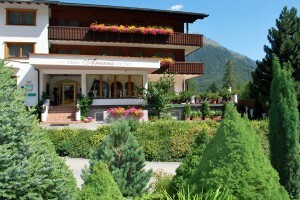 Alpensporthotel Mutterberg offers free private parking. 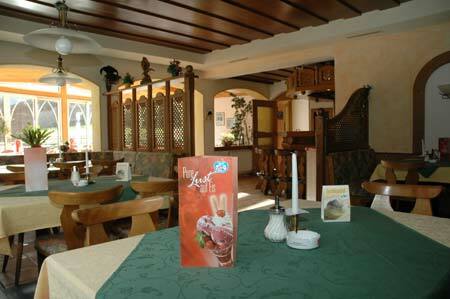 Hotel Waldcafe se nachází v blízkosti obce Neustift ve velmi klidné a krásné lokalitě Falbeson. 10 minut jízdy autem se nachází dolní stanice lanovky na ledovec “Stubai Glacier” Běžecké ski tracks are located directly at the hotel. Ski bus stop at hotelu. 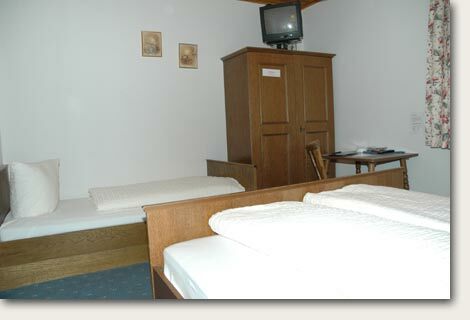 Dinner: from 1250,- CZK / person / night / double room with breakfast. 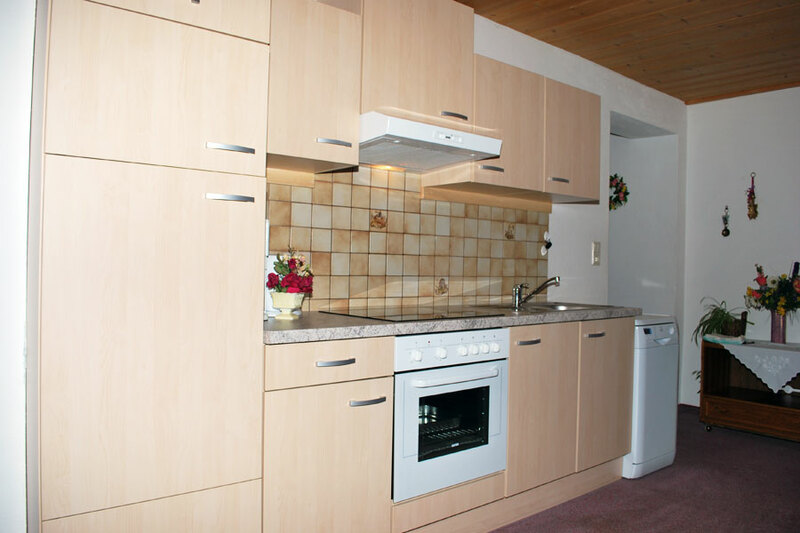 Dinner: from 4100,- CZK / person / night / apartment. Alpský resort – hotel tyrolský Eagle se nachází nedaleko lanovky Giggijochbahn, 100 m above the center of Sölden. 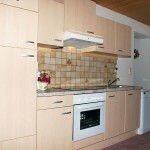 It offers rooms and apartments. 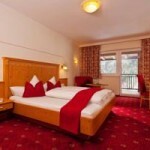 Rooms are equipped with bathroom, TV, hairdryer, Double bed, some have a balcony. Apartmány jsou vybaveny kuchyňkou s myčkou nádobí a mikrovlnnou troubou. Apartments for 2-6 people. Balconies overlook the slopes. HB, breakfast buffet. Leisure Recreation Center Arena is 1 km away. Wifi v celém hotelu (fee), sauna, parking, ski. zadné významnější Centre. Je však velmi úrodné to jeho plochy pokrývají rozsáhlé sady. Teto oblasti if TaKé Rika Jablková zahrada. nenápadná východní skupina plateau of Predaia začínající u sedla Mendel. Někdy if nazývá Nonsberg. výšce 1178 meters. Zajímavá je i jezerní oblast methane Lago di S. Giustina. While on the southeast typical towering limestone peaks of the Dolomites, to the north, the landscape is increasingly mountainous and finally conclude the majestic Alps. Area Trentino-Alto Adige se skládá ze dvou historicky i etnicky nesourodých částí. Trentino in the south was named after the capital of Trento and is uniquely Italian. Alto Adige region with a predominantly German-speaking population was assigned to Italy from the former Austro-Hungarian Empire after 1. World War I. German remains the main language and everything is there Germanic, from the food to the architecture. Alto-Adige Region (South Tyrol) Dolomites Dolomites are not just Alto-Adige region. 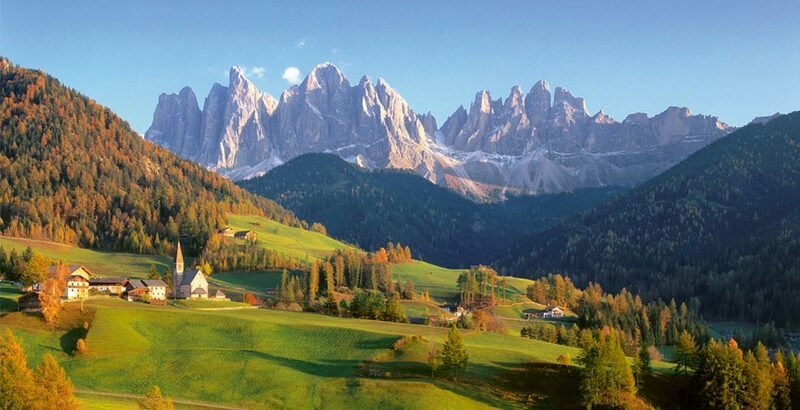 On the other hand, the most important part of the Dolomite Alps, located in the territory of that name. In the relatively small area of ​​Trentino offers a diverse range of climates and types of landscape: from the Alps to the palm trees on the coast Guard, acrid cold air from the mountains after a pleasant lakeside climate. From the Dolomites after Lake Garda. 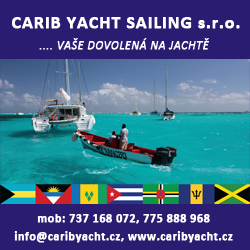 Thus a Province – steep mountains, alpinist, dense network of mountain trails, walking and walking again, peaceful blue lake surface, sail and surf board, foamy streams of mountain streams, rafting a canyoning. 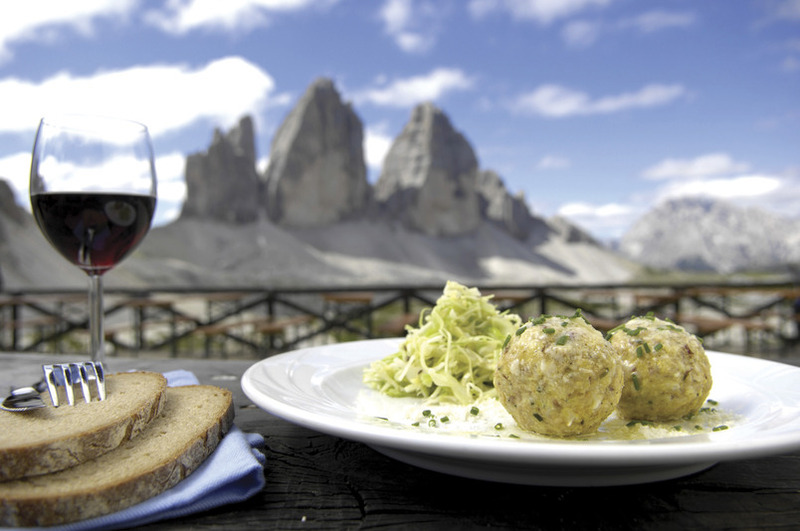 But also forest green, rest, sitting under a clear sky, when you silently admire the jagged silhouette of towers and Vízek, which one curious French naturalist found different from normal rocks, and which he called his name: Domieu - Dolomiti. The lakes are small jewelry and accessory characteristic landscape of Trentino. Three hundred Trentino mountain lakes gives nature a truly unique character, starting and ending with a huge Dolomites Lake Garda, the largest in the entire territory. Lakes and ponds are different sizes, depth, altitude, fauna and flora, climate. To, What are all the common, is crystal clear, Still water. Already lake itself evokes serenity and tranquility. Lakeside gets a different rhythm and time, somehow natural. The lake also provides an opportunity to measure their own forces and active recreation: when swimming, rowing, sailing, Surfing. Nature created in Trentino really a masterpiece. A man is added castles, Palace, squares, artwork, dams, sporting and cultural events. From the excavations of the ancient city Trento, open to the public underground Trent, the modern architectural lines Roveretského Mart Museum, Trentino offers its visitors a vast artistic and cultural riches. In small and large museums you can see masterpieces of great artists and anonymous ancient handicraft products. Trails, after which Neolithic man had walked, for the Romans, when it was founded many of the local towns, become the main roads. In the Middle Ages, during the reign of the Counts of Tyrol, whose land stretched along both sides of today's Italian-Austrian border, si již South Tyrol vytvořilo nezaměnitelnou kulturu. To protect travelers against robbers here Tyrolean nobles built castles, that you see today in the valleys and mountain passes. 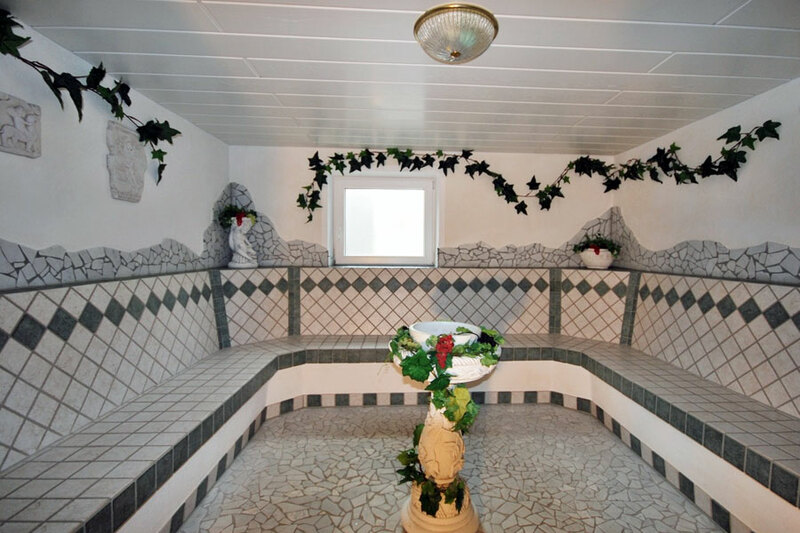 Another legacy of the ancestral hospitality, that you are included in a number of guest houses in the valleys. In the winter, cozy cottages and guesthouses with flickering fire in the fireplace, hot meal and stirring views of an ideal base for hiking and ski tours to the surrounding area. Sensational black runs around the mountain Greitspitz – sharp descents to 70 percent slope, and always maintained in perfect condition. 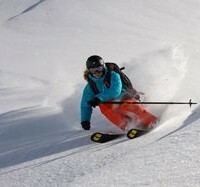 The largest continuous area of ​​the Eastern Alps ski area Silvretta Nova is. The valley lies at an altitude of 1 800 m.n.m. which means virtually certain snow cover. Ze Samnaun se do Silvretta Arena Samnaun/Ischgl jezdí dvoupatrová kabinková lanovka – první tohoto druhu na světě, carries every 10 minutes to 270 people! Snowpark – jeden z největšíc h v Evropě. There 1100 meters with slopes 35 obstacles (Obstacles). Pro rodiny s dětmi jsou vhodné široké sjezdovky okolo Alp Bella, where in the restaurant the best baked chicken! 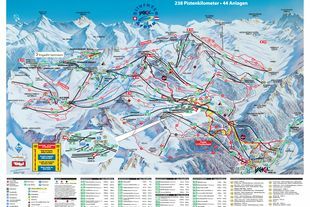 Ski resorts Davos Klosters poskytují nejrozmanitější program a v ceně lyžařského pasu a v takzvané kartě hosta „Gästekarte“ je dokonce zahrnuto i jízdné všech veřejných dopravních prostředků. 320 kilometers of slopes with some snow cover is divided into six ski resorts. Jakobshorn Here come the lovers of style Freestyle. Parsenn poskytuje zase legendární klasický 12ti kilometrový sjezd z Weissfluhgipfel do Küblis. Absolute oasis is then Schatzalp / Strela - the first Alpine region, where are nostalgic and comfortable extra wide door for "cool downhill". The most beautiful hikes in a wonderful alpine world of the Davos Klosters. The unique make your stay a night downhill toboggan mountain Rinerhorn.